After the monster success of Jon Favreau's The Jungle Book in 2016, Disney announced that the director would take the helm of another "reimagining" of an animated classic, The Lion King. A string of casting announcements followed as we eagerly awaited a peek at footage. The first trailer looks simply amazing. Here's everything we know about the movie; watch the videos below. Will this be live-action, animated, or a combination of the two? 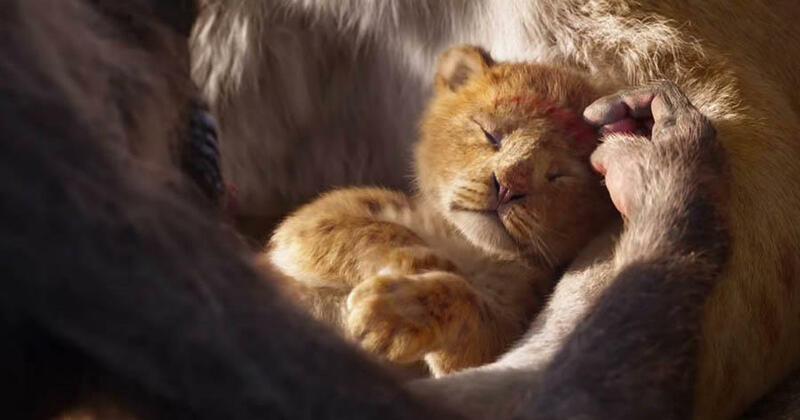 The Lion King "utilizes pioneering filmmaking techniques to bring treasured characters to life in a whole new way," per the official description. We imagine that Favreau's version of The Jungle Book served as a touchstone for the filmmakers. Is this a straight remake? Or will other story elements be added? Here's the official synopsis: "Disney’s upcoming film journeys to the African savanna where a future king is born. Simba idolizes his father, King Mufasa, and takes to heart his own royal destiny. But not everyone in the kingdom celebrates the new cub’s arrival. Scar, Mufasa’s brother—and former heir to the throne—has plans of his own. The battle for Pride Rock is ravaged with betrayal, tragedy and drama, ultimately resulting in Simba’s exile. With help from a curious pair of newfound friends, Simba will have to figure out how to grow up and take back what is rightfully his." While that sounds similar to the original film, we're sure the filmmakers have conjured up a few surprises, story-wise. Donald Glover and James Earl Jones were the first cast members announced, with Glover set as the lead character, Simba, and Jones reprising his role as Mufasa. Beyonce Knowles-Carter will play the role of Nala, Simba's longtime friend and companion. Seth Rogen, Chiwetel Ejiofor, Billy Eichner and John Oliver also star. In the original, a pack of three hyenas was led by Whoopi Goldberg as Shenzi. Florence Kasumba (Black Panther) will voice that role in the new version. See the new cast image below. When can we see it? Disney will release The Lion King in theaters on July 19, 2019. Watch the previous videos below.